Following Russia’s annexation of Crimea, hybrid warfare has become conversational short form in the West for describing Moscow’s sneaky ways of fighting war. If there’s one thing you’ve learned over the past two years about Russia, it’s that it uses hybrid warfare, a dangerous Kremlin innovation the West must learn to grapple with. In two short years, the word has mutated from describing how Moscow was fighting its war in Ukraine to incorporating all the various elements of Russian influence and national power. The term continues to evolve, spawning iterations like“multi-vector hybrid warfare” in Europe. Hybrid warfare has become the Frankenstein of the field of Russia military analysis; it has taken on a life of its own and there is no obvious way to contain it. In trying to separate hybrid warfare from the classical bins of conventional or irregular war, I prefer to use Frank Hoffman’s definition, “a tailored mix of conventional weapons, irregular tactics, terrorism, and criminal behavior in the same time and battlespace to obtain [a group’s] political objectives.” There are other definitions out there, but you will find they are not being applied correctly to analysis of Russian tactics. Unfortunately, what Russian hybrid warfare is, and how it works, varies dramatically depending on what article, report, or PowerPoint brief you are reading. The more we have talked about it, the less we understand it as a useful concept or framework for looking at Russian actions. What’s wrong with a little hybrid warfare? If you torture hybrid warfare long enough it will tell you anything, and torture it we have. The term now covers every type of discernible Russian activity, from propaganda to conventional warfare, and most that exists in between. What exactly does Russian hybrid warfare do, and how does it work? The short answer in the Russia-watcher community is everything. The church of Russian hybrid warfare has a broad and influential following these days, but finds few worshippers among experts who study the Russian military. There’s a reason for that: Many don’t believe it exists as described. I’m not the first to point out the problems with applying this lens to Russian tactics , and I have criticized itelsewhere, but in this piece I hope to offer a fresh perspective on why the national security establishment continues to do itself a disservice by thinking about Russia through a hybrid warfare lens. My purpose here is not to engage in an esoteric disagreement over military terms and definitions. It matters less what we call it if there is a common and useful understanding of the subject. The trouble is that thanks to narratives surrounding hybrid warfare, we lack a shared knowledge of how Russia fights and what happened on the battlefields of Ukraine. Without a common understanding of the facts here, the United States cannot hope to successfully counter or deter Moscow elsewhere. It would be one thing for such notions to dominate the world of punditry, but the references to Russia’s dark hybrid arts permeate the conversation among U.S. policymakers and leading generals alike. I have nothing against hybrid warfare as a concept, but in the case of Russia, it has become more of a handicap than an enabler for our decision-makers and military leaders. It's uncanny. After every terror attack on India from Pakistani soil, a rash of articles appears in Indian newspapers. Some are carried on the front pages of well-known dailies, others on the editorial page. All stress caution. Don’t blame Pakistan yet, they chant in chorus. Simultaneously, television studios erupt with choreographed debates. Panellists urge viewers in dulcet tones not to jump to conclusions about Pakistani involvement in the latest terror strike. This orchestrated campaign has a single point objective: dilute the perception that Pakistan, ‘the state’, had anything to do with the terror attack on India. It places the blame squarely on ‘non-state’ actors over whom Pakistan’s army generals, wringing their hands in helplessness, have no control. This unadulterated nonsense continues to be spread by sections of the Indian media despite David Headley’s confession this week to an Indian court of the Pakistani army’s direct involvement in terror strikes on India. The narrative echoes Islamabad’s standard line and is a result of a long-standing Pakistani project. The project, generously funded by Islamabad, is aimed at subverting India’s effete elite. Let’s analyse how it works. For a rogue state like Pakistan, perception matters disproportionately. Islamabad bases its existence on being the antithesis of India. And yet it craves attention from India. 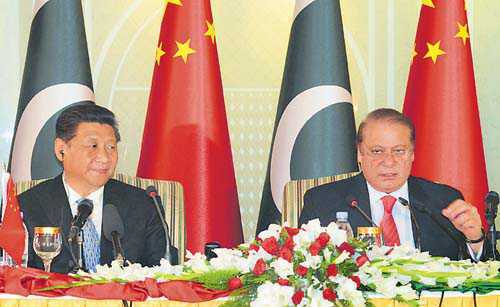 With the United States, China and Saudi Arabia, Pakistan’s relationship is that of a vendor-serf. It provides geostrategic real estate to the US and China, and outsources nuclear capability to Saudi Arabia. In return, it receives money but no respect. The Pakistan army is a well-oiled, professional machine. Its officers are paid generously. Retired generals have a lifestyle that is entirely un-Islamic, lubricated by Scotch, golf, and holidays in Dubai and Macau. The ISI’s mandate, as Headley confirmed this week, is to play a dual role in India. Its principal task is to fund terror groups against Indian civilian and military targets. Its parallel role is to build a cabal of Indian opinion-makers who will provide credible alibis for Pakistan after terror attacks by the terrorist groups the ISI has nurtured for decades. Who are these opinion-makers and how are they subverted? In the top tier are journalists and retired army officers. They can be relied upon to defend Pakistan in newspaper columns and television debates. India is hardly taking any note of developments in Balochistan. To counter and restrict China influence there, India needs to aggressively move forward on further consolidating its friendly relationship with Iran and Afghanistan, says Abhay Jere. When India defeated Pakistan in an Asia Cup match, social media was abuzz with congratulatory messages for India. Apart from Indians, a large number of Balochistan nationals were very happy, congratulating us. More than India's victory, the Baloch people were happy with Pakistan's defeat. This deep-rooted animosity against Pakistan amongst the Baloch people is primarily due to the atrocities its army committed on Balochistan for the last 60 years. In my earlier article, I highlighted the human rights violation and atrocities committed against the Baloch people by the Pakistan army. According to some estimates, since 2000, more than 20,000 Baloch people (including 5,000 children) have been kidnapped and/or killed by the Pakistan army. I also emphasised the need that Indian establishments, especially the Indian media, should highlight these atrocities against the Baloch people in international fora. Apart from the continued human rights violations, some recent developments in Balochistan are of huge strategic importance for India. The Pakistan government recently signed an agreement with China for the development of the China-Pakistan Economic Corridor. Under this agreement, Pakistan handed approximately 2,000 acres of land in Balochistan to the Chinese government for the development of Gwadar port. This area is very rich in natural resources, especially oil and gas, and the Pakistan government is keen on tapping these resources with Chinese support. Under the pretext of Balochistan's development, the Pakistan government's real objective is to crush the Baloch freedom struggle and exploit the resources. China is also keen on investing in this region as it gives it direct access to the Arabian Sea. Considering the Gwadar port's location, it would be of huge strategic significance to counter India's influence in this region. It is widely speculated that China plans to build a naval base at Gwadar. From Pakistan's perspective, any direct presence of the Chinese establishment in this region will automatically make China a stake holder or an affected party if India embarks on hot pursuit against Pakistan, considering the terrorist attacks emanating from its soil. Under the China-Pakistan Economic Corridor proposal, China will invest $49 billion to build a network of roads and gas pipelines from Gwadar port to China through Pakistan occupied Kashmir connecting Pakistan to Beijing's Maritime Silk Road, as part of China's ambitious One Belt, One Road initiative. The Kakrapar Unit-I nuclear reactor in Gujarat is undergoing a moderately large leakage of heavy water from its Primary Heat Transport (PHT) system since9.00 AM on March 11,2016. From the very limited information released by the Nuclear Power Corporation of India Limited (NPCIL) and the Atomic Energy Regulatory Board (AERB) of the government , as well as from the conversations I had with press people who have been in touch with nuclear officials, few inferences can be drawn. Till 7.00 PM on March 12, 2016 , the DAE officials have no clue as to where exactly the PHT leak is located and how big is the rate of irradiated heavy water that is leaking into the reactor containment. However, some reports indicate that the containment has been vented to the atmosphere at least once , if not more times , which I suspect indicates a tendency for pressure build up in that closed space due to release of hot heavy water and steam into the containment housing . If this is true, the leak is not small, but moderately large, and still continuing. No one confirms that any one has entered the containment (in protective clothing) for a quick physical assessment of the situation, perhaps it is not safe to do so because of the high radiation fields inside. When NPCIL officials state that the reactor cooling is maintained, I believe what they may be doing is to allow the heavy water or light water stored in the emergency cooling tanks to run once-through the system and continue to pour through the leak into the containment floor through the break. All this points to the likelihood that what Kakrapar Unit-1 is undergoing is a small Loss-of-Coolant Accident (LOCA) in progress. It is most likely that one or more pressure tubes (PT) in the reactor (which contain the fuel bundles) have cracked open , leaking hot primary system heavy-water coolant into the containment housing. The reactor cooling is said to be maintained which, in view of the PT breach , can only be by supply of heavy water or light water from the storage tanks of the emergency cooling systems . While it may perhaps ensure bulk coolant temperatures in the PHT system to be well under control, it could still mean fuel centreline temperatures in the channel which may have a breach could be quite high. The seriousness of the accident and the potential high risks to the plant and personnel in the near vicinity are yet to be assessed, because NPCIL and AERB do not yet know where the location of the leak is or how to initiate actions to stop it. They were waiting for a team of AERB Specialists to reach Kakrapar in the afternoon of March 12 th. (today) to jointly decide between AERB & NPCIL how to proceed from here on. This is therefore a potentially serious accident in progress, and the DAE, NPCIL and AERB appear to be clearly saying at the moment that they know very little of what is happening. I was just told that a senior team from AERB has reached Kakrapar this evening and now the serious accident investigations will hopefully begin and decisions initiated. In your paper you talk about the connections between space assets, nuclear weapons and conventional war. Can you tell us a bit more on how these are connected? Ever since Hiroshima and Nagasaki nuclear weapons and conventional war have always been connected. The dawn of the space age through the launch of Sputnik was made possible because of the development of ICBMs. Of course missiles became the preferred delivery system for both nuclear and conventional weapons. Satellites because of their vantage point in space cover large areas on the ground. Military interests for both offence and defence have always wanted to control the high ground. Space is no exception to this desire. Space assets have always played a major role in the war strategies of major space powers. If this were so space would have always been a contested ground. However international concerns about the weaponization of space seem to have more recent origins. What has changed in the world space order for these renewed emerging concerns? The Cold war Period of the space age saw the emergence of what can be called the sanctuary regime in space where the desire to preserve stability and the peace limited the military uses of space to what we currently call the ISR functions where information provided by satellites maintained the peace. This also saw an international space order dominated by the USA and the USSR – who established this sanctuary regime – associated with what is even today described as the peaceful uses of outer space. Reagan’s Star Wars initiative led to a change and conferred greater legitimacy to space weapons – that moved from testing to keeping technology options open – towards possible deployment. The breakup of the Soviet Union and the first Gulf War which saw large scale use of space assets for both defensive and offensive weapons linked space assets more directly with war. The rise of China and its desire to counter the dominant US position in space has resulted in a number of Chinese led assymetric responses that more directly link space assets with the risks of escalating conventional war to a nuclear war. Through such approaches China hopes to deter US intervention into areas that China perceives as being vital to its national interests such as Taiwan. Calling in the Army to restore law and order by ignoring time-tested protocol does not have a salutary effect, as seen in the recent Jat violence in Haryana. 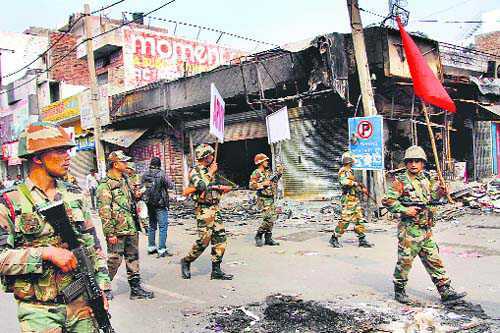 The presence of placard-carrying soldiers failed to act as a deterrent and to curb arson and vandalism. The Army is called in to aid the civil administration to cope with natural disasters or maintain law and order. Although the civil administration has adequate resources to cope with such contingencies, yet more often than not it sends out a call for help to the Army. The civil administration and the police are low on organisational skills, discipline and leadership. Often on such occasions, the civil administration just disappears from the scene as was seen during the recent floods in Uttarakhand and now during the Jat stir in Haryana. To maintain law and order and control the crowd, there are more than adequate state and central police forces. They are suitably armed to control unruly mobs and rioters. On their own they are in a position to handle riots and other cases of breakdown of law and order. At the drop of a hat, a call is made to the Army, as it happened in Haryana. Earlier, to discourage the civil administration from making frivolous calls for the Army's assistance, a certificate from the civil administration was required along with requisition of military help, stating that it has deployed all of its resources and the situation is well outside its control and, therefore, the Army’s help is being sought. This served a dual purpose: The civil administration made a genuine effort to control the situation and it indicated that it was truly grave, demanding deployment of the Army. Consequently, it also justified the military's firm action against rioters to restore order. In the case of subsequent court cases, it was possible for the military to justify its stern action. Under normal circumstances, a magistrate who gives written orders for the military to open fire on rampaging mobs is required to accompany a military column. The Army first makes an announcement through the public-address system to warn the crowd and ask it to disperse. If that goes unheeded, it may open fire adhering to the need for minimum force and fire to incapacitate and not kill. Very often, it is not possible to have a magistrate with each and every column, more so when there are wide-scale disturbances across the state, as was the case in Haryana. There was large-scale rioting, torching of government and private properties and looting of shops and assaults on certain sections of society. In such a situation, the officer commanding the concerned column has to act on his own. Where casualties amongst rioters take place, more often than not, long legal battles ensue and the Army is called upon to justify its action. Very often its presence has the necessary salutary effect on the crowd and the task at hand is accomplished. A range of central police organisations, against the prevalent laws, have adopted the Army’s uniform, badges of ranks and other paraphernalia, making it difficult for the common man to distinguish the police from the Army. Unfortunately, the Ministry of Home Affairs has been complicit on this issue. Consequently, the all-important salutary effect of the Army's presence on such occasions has been lost. Therefore, one saw the sad spectacle of military columns carrying placards stating that it is a military column carrying out flag marches. In law and order cases, it is most important to handle the situation firmly in the early stages, if not pre-empt it altogether. In event of large-scale rioting, spread over vast areas, firm action at one place has the desired effect at other locations as well. It instills fear and caution in the rioters. On the face of it, the very fact that the military has been called in, implies that the civil administration has exhausted all of its resources. Therefore, for the Army to effectively control such an adverse situation, it must have a free hand and, consequently, the authority to use force at its own reckoning, with little legal binding. This calls for amending the relevant laws. A desperate situation, as obtaining in Haryana, calls for extraordinary measures. The situation was most ineptly handled and allowed to get out of hand. It was an obvious case of breakdown of administration and police failure as the rampaging mobs were allowed a free run. IN the 1950s, China constructed a strategic road connecting Tibet to its Xinjiang province through Aksai Chin area of J&K. The intrusion became one of the triggers for the 1962 India-China war. In 1963, China signed a border agreement with Pakistan in which Pakistan unilaterally ceded Shaqsgam valley, another part of J&K (called Gilgit-Baltistan now) to it. Both nations then built the Karakoram highway linking Kashgar in Xinjiang to Abbottabad of Pakistan. In April 2015, China and Pakistan signed accords worth $46 billion to build the China-Pakistan Economic Corridor (CPEC) through Gilgit-Baltistan. This will extend to Gwadar Port in Pakistan and give China access to the Indian Ocean and beyond. India and China resumed boundary talks in the early 1990s. But China has refused to disclose its perception of the Line of Actual Control which could lead to a boundary settlement. According to India’s Ministry of Defence, the length of China-India boundary, measured from the extreme eastern side (India-China-Burma junction) to the extreme north-western end of POK is 4,056 km. This includes 2,175 km in the western sector, 556 km in the central sector, and 1,325 km in the eastern sector. But Chinese officials and the media started mentioning the length of the China-India boundary as nearly 2,000 km. This was first stated by China Daily in its report on the 13th round of boundary talks between China and India. In 2010, People’s Daily wrote that China and India share a nearly 2,000-km border and disputed areas cover about 125,000 sqkm on both sides. After the 14th round of border talks held in Beijing on November 29-30, 2010, the party-controlled Global Times quoted former ambassador to India, Zhou Gang: “The Sino-Indian border stretches for about 2,000 km and the two countries have never officially mapped it out. For a long time, the two sides abided by a traditional customary line based on their respective administrative regions.” Another former ambassador to India, Cheng Ruisheng, said in a TV interview: “China and India share roughly a 2,000 km border which has never been formally delineated.” Chinese officials and media have not only persisted with China-India border being only 2,000 km, but also attempted to correct figures, whenever quoted by Indian officials. It is apparent that China, which had never openly questioned the Indian estimate of the length of common border earlier is now unilaterally seeking to exclude the Chinese-occupied territory in the Ladakh sector of J&K. It is also questioning India’s locus standi to discuss this part of the border due to Pakistan’s claims to this area. This may be an indication that China does not recognise India’s claims of sovereignty over J&K. What is Chinese army doing at LoC in Pak-occupied Kashmir? After frequent incursions in Ladakh area, Chinese People's Liberation Army troops have been spotted at forward posts along the Line of Control on the Pakistani side of Kashmir, ringing alarm bells in the security grid. The army has spotted presence of senior PLA officials at the forward posts opposite Nowgam sector in North Kashmir after which some intercepts of Pakistani army officers suggested that the Chinese troops have come to create some infrastructure along the LoC, sources in the know of developments said on Sunday. Army has officially maintained complete silence on the issue but have been constantly updating various intelligence agencies about the presence of PLA troops along the Line of Control, the sources said. The hydel project is being built in response to India's Kishanganga power project being built in Bandipore of North Kashmir. The Indian project is designed to divert water from the KishangangaRiver to a power plant in the JhelumRiver basin and will have an installed capacity of 330 MW. Construction on the project began in 2007 and is expected to be complete this year. The intercepts also suggested that Chinese PLA would be digging some tunnels in LeepaValley, located in Pakistan-occupied Kashmir, to build an all-weather road which will serve as an alternate route to reach the Karakoram Highway. The visit by PLA officials is seen by experts as part of Beijing's $46 billion China-Pakistan-Economic Corridor under which Gwadar port in Karachi is linked to Chinese Xinjiang province through Karakoram highway, an area under illegal occupation of China. As the CPEC project was given final shape, India had last year registered its protest against the presence of Chinese troops in Gilgit and Baltistan, an area in PoK, saying that it was unacceptable to India. In the meantime, some of the experts in the nation's security grid have been giving serious thoughts to the presence of PLA in close proximity with Pakistani army officials. Chinese officials have maintained that CPEC was an economical package to link Asia with Eurasia. "What we know is that China is going to raise three divisions of its PLA under a local name in PoK that will guard the Chinese interests in occupied Kashmir. One needs to understand the game plan of Beijing," he said. Reports emerging from PoK were suggesting that PLA under a local name will establish a security wing in the PoK so that India does not protest. The new three divisions, around 30,000 men, will be deployed in and around the installations built by the Chinese firms, the sources said, adding this way Beijing can also justify its presence along the LoC in northern part of Kashmir. India-Myanmar relations are set to strengthen exponentially, based on the spurt in bilateral discussions and agreements just over the past few weeks. The announcements on regional connectivity and trade agreement were made on 17 and 18 February, as part of the eighth edition of the India-Asean (Association of Southeast Asian Nations) Delhi Dialogue. Key among these agreements is a renewed commitment to complete the 3,200-km India-Asean trilateral highway that extends from Moreh in India to Mae Sot in Thailand via Mandalay, Myanmar. Nine border haats or trading posts are also being considered along the 1,640-km land border with Myanmar. Expedited negotiations for concluding the Regional Comprehensive Economic Partnership (RCEP) between India and the Asean countries were also discussed. The RCEP will expand India’s trade and investment circle in the Indian Ocean region. India and Myanmar also signed a formal agreement for conducting coordinated naval patrols. The standard operating procedure was signed at the end of a three-day joint navy patrol—from 13 to 16 February. This was the fourth India-Myanmar Coordinated Patrol naval exercise in the Bay of Bengal region. Increasing connectivity, trade and infrastructure investment and greater security cooperation with South-East Asia are core aims of India’s ‘Act East’ policy. Central to the policy is increased engagement with Myanmar. The changed political structure in Myanmar, post the 2015 election, is the most important determinant of the future trajectory of India-Myanmar relations. The Takshashila Institution has released a discussion document recommending policy directions for a stronger India-Myanmar relationship. Myanmar has been undergoing a political transition since the 2015 election. The resounding verdict in favour of the National League for Democracy (NLD) led by Aung San Suu Kyi will see a democratic government take shape in Myanmar in April. The election marks a new stage in Myanmar’s relationship, both within and without its borders. The country’s isolation for the past 50 years has driven the economy, education and healthcare to abysmal positions. It also pushed the country to depend overly on China for most of its trade and investments. My father was the governor of Punjab Province from 2008 until his death in 2011. At that time, he was defending a Christian woman who had fallen afoul of Pakistan’s blasphemy laws, which are used by the Sunni majority to terrorize the country’s few religious minorities. My father spoke out against the laws, and the judgment of television hosts and clerics fell hard on him. He became, in the eyes of many, a blasphemer himself. One January afternoon his bodyguard, Malik Mumtaz Hussain Qadri, shot him dead as he was leaving lunch. Mr. Qadri became a hero in Pakistan. A mosque in Islamabad was named after him. People came to see him in prison to seek his blessings. The course of justice was impeded. The judge who sentenced him to death had to flee the country. I thought my father’s killer would never face justice. But then, in the past few months, it became possible to see glimmers of a new resolve on the part of the Pakistani state. The Supreme Court upheld Mr. Qadri’s death sentence last October. Earlier this year, the president turned down the convict’s plea for mercy — which, at least as far as the law goes, was Mr. Qadri’s first admission that he had done anything wrong at all. Then on the last day of last month came the news: Pakistan had hanged Malik Mumtaz Hussain Qadri. How would the country — not the state, but the people — respond? I spoke to my sister in Lahore and for a moment we dared to hope that Pakistan, which had suffered so much from Islamic terrorism, might turn a corner. A lot had happened in the five years since Mr. Qadri killed our father. There was attack after hideous attack. In December 2014, terrorists struck a school in Peshawar, killing 132 children. Was it possible that Pakistan was tired of blood and radicalism? Had people finally begun to realize that those who kill in the name of a higher law end up becoming a law unto themselves? Had the horrors of the Islamic State in Iraq and Syria done nothing to dampen enthusiasm for Islamism? Perhaps. I hoped. But when a BBC interviewer asked me about this, something made me equivocate. I said it was too early to say and that we should be careful not to confuse the hardening resolve of the Pakistani government with the will of its people. 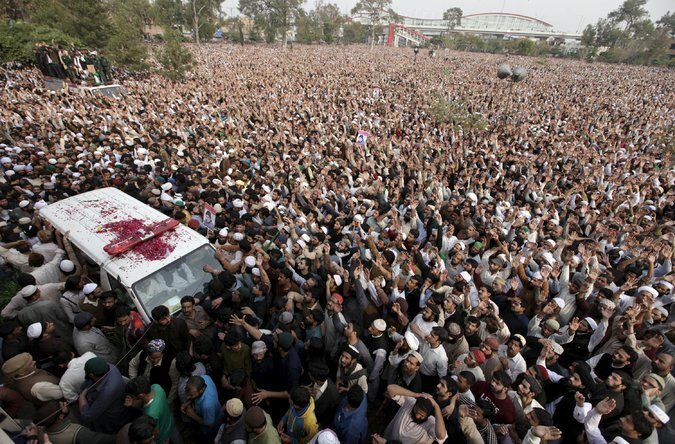 Mr. Qadri’s funeral was the next day. That would give a better indication of the public mood. Indian security establishment has warned the government on how Pakistan has raised three additional brigades of its Army complete with artillery and helicopter support and allowed Chinese troops on its soil under the garb of protecting the China-funded $46-billion China-Pakistan Economic Corridor (CPEC). The Pakistan Army Brigades are under a Special Security Division (SSD) commanded by a Major General-level officer and translate into some 15,000 men, of which 5,000 belong to the special services group (SSG) trained in counter-terrorism operations. This is backed by permission granted by Pakistan to the People’s Liberation Army (PLA) of China to patrol Beijing’s economic interests under the CPEC, the Indian security establishment has told the government. The number of PLA troops stationed or visiting Pakistan or Pakistan-occupied Kashmir (PoK) was still ambiguous as both countries have open road route. The PLA can just motor down the existing Karokaram highway. In April last year, Chinese President Xi Jinping launched the CPEC in Islamabad with agreements on pipelines, power plants and other projects. Xi had then sought security for the CPEC and it was promised by Pakistan. Now, the brigades has been raised and deployed to protect Chinese engineers and also the route between Gwadar and Xinjiang. These have rapid movability like helicopters. The troops carry small arms besides medium guns and artillery weapons. In New Delhi, the fear is that PLA could use Pakistan soil to stage an offensive against India. The CPEC includes a high-speed rail and road connection between China’s Xinjiang province with Pakistan port city of Gwadar (west of Karachi). This will be backed by a string of oil and gas pipelines that will allow China to unload its energy requirement at the Arabian Sea port of Gwadar and take them directly through the pipelines circumventing the longer route via the Straits of Mallaca (dominated by India) and the contentious South China Sea. Pakistan is facing some problem PoK and also in Gilgit-Baltistan where local population have protested against the CPEC in Muzaffarbad and also in Gilgit. The local police had quelled these voices. A worker wearing a protective suit walks by the No. 3 reactor building at the tsunami-crippled Fukushima Dai-ichi nuclear power plant operated by the Tokyo Electric Power Co. in Okuma, Fukushima prefecture, last month. Five years after an earthquake and tsunami caused a series of meltdowns at the Fukushima Dai-ichi nuclear plant in Japan, there are signs of progress. Many workers cleaning up the ruined plant no longer need to suit up in full respirators. Some nearby villages that were evacuated are open to residents. But there are still plenty of problems. "Fukushima Dai-ichi is a complicated cleanup site," says Dale Klein, a former chairman of the U.S Nuclear Regulatory Commission who now consults for the Tokyo Electric Power Company, or Tepco, which owns the plant. PLOTTING THE FALLOUT: A map made by the volunteer organization Safecast indicates that radiation levels remain elevated in the region around Fukushima Dai-ichi. In areas that are orange, yellow or white, levels are high and an evacuation order remains in place. Areas in pink and purple are safe to live in, provided extensive decontamination efforts are effective. Blue denotes areas where radiation is at natural levels. Perhaps the biggest problem is water, Klein says. Groundwater from nearby mountains constantly seeps through the ruined building before spilling into the ocean. Tepco has tried a number of different approaches (including a massive underground ice wall) to try to slow the incursion, but so far efforts to stop it have been only partially successful. Instead, the company must send the groundwater through a complex filtration system that removes radioactivity. The system is effective at removing some of the most dangerous elements, but one isotope of hydrogen, called tritium, can't be removed because it's literally embedded in the H2O of the water molecules. "Tritium is part of the water itself, so how do you filter water out of water?" Klein says. The best solution might be to dilute the radioactive groundwater and then release it into the ocean. But fishermen and the public would have to be convinced. For now, nearly a million tons of water is being stored all over the site. "There are about a thousand containers, steel containers that hold this water," he says. A Tokyo Electric Power Co. staffer measures the radiation level as others work on the construction of an ice wall at the Fukushima Dai-ichi plant on July 9, 2014. What’s Chinese language military doing at LoC in Pak-occupied Kashmir? After frequent incursions in Ladakh space, Chinese language Individuals’s Liberation Military troops have been noticed at ahead posts alongside the Line of Management on the Pakistani aspect of Kashmir, ringing alarm bells within the safety grid. The military has noticed presence of senior PLA officers on the ahead posts reverse Nowgam sector in North Kashmir after which some intercepts of Pakistani military officers steered that the Chinese language troops have come to create some infrastructure alongside the LoC, sources within the know of developments stated on Sunday. 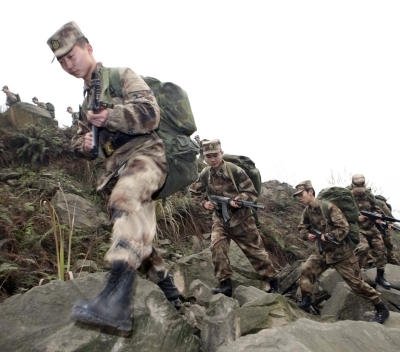 Military has formally maintained full silence on the difficulty however have been always updating numerous intelligence businesses concerning the presence of PLA troops alongside the Line of Management, the sources stated. The PLA troops have been first noticed within the later a part of the final yr and ever since their presence was witnessed reverse Tangdhar sector as nicely. On this space, Chinese language authorities-owned China Gezhouba Group Firm Restricted has been constructing a Jhelum-Neelum 970 MW Hydel energy venture. The hydel venture is being inbuilt response to India’s Kishanganga energy venture being inbuilt Bandipore of North Kashmir. The Indian undertaking is designed to divert water from the KishangangaRiver to an influence plant within the JhelumRiver basin and may have an put in capability of 330 MW. Development on the venture started in 2007 and is predicted to be full this yr. The intercepts additionally recommended that Chinese language PLA can be digging some tunnels in LeepaValley, situated in Pakistan-occupied Kashmir, to construct an all-climate street which can function an alternate route to succeed in the Karakoram Freeway. The go to by PLA officers is seen by specialists as a part of Beijing’s $forty six billion China-Pakistan-Financial Hall beneath which Gwadar port in Karachi is linked to Chinese language Xinjiang province by way of Karakoram freeway, an space beneath unlawful occupation of China. Because the CPEC challenge was given remaining form, India had final yr registered its protest towards the presence of Chinese language troops in Gilgit and Baltistan, an space in PoK, saying that it was unacceptable to India. Within the meantime, a number of the specialists within the nation’s safety grid have been giving critical ideas to the presence of PLA in shut proximity with Pakistani military officers. Chinese language officers have maintained that CPEC was a cheap package deal to hyperlink Asia with Eurasia. *** Where did ISIS come from? The story starts here. It took us five years to talk honestly about Vietnam. It’s time to do that with Iraq, and Paul Bremer’s tenure is the place to begin. For a man who once commanded the world’s attention, working out of a palace and wielding expansive powers over 25 million people while serving as America’s viceroy in postwar Iraq, these quarters seem modest. But the reminders of a more influential time are all around. Each of those white binders is labeled “CPA Archives,” as in the Coalition Provisional Authority that President George W. Bush appointed Bremer to run one month after US troops had cruised into Baghdad. (At one point during his reign, Bremer is said to have waved off a British general’s concerns about the legality of a certain security measure with the quip “I am the law.”) Along the white-paneled walls hang framed photos of Bremer with the biggest stars in the firmament of Republican administrations over the last half century: Nixon, Ford, Reagan, Bushes 41 and 43, as well as Kissinger, Haig, Rumsfeld, and Cheney. When George W. appointed Bremer in May 2003, after the exhilaration around the toppling of Saddam Hussein’s statue had been quickly followed by a descent into looting and lawlessness, most people were caught off guard. That included the Bush administration’s first postwar point man in Iraq, retired Lieutenant General Jay Garner, who had just arrived in Baghdad when he learned he was about to be replaced. Although Bremer was a former ambassador, he spoke no Arabic, had no experience with postwar reconstruction or with running a large organization, had never served in the military or the Arab world, and had never even visited Iraq. Those shortcomings did not hinder his candidacy. Perversely, as I would learn from Bremer, they enhanced it. Bremer’s Iraq tour turned out to be relatively brief, just 14 months, yet it continues to resonate to this day. That’s particularly true around a couple of enormously consequential decisions that he announced during just his first two weeks in Baghdad. In those decisions, critics argue, one can find the roots of the lethal insurgency that upended Iraq, as well as the scourge of ISIS that followed and now threatens to draw American troops back onto Iraqi soil for the third time in as many decades. In the end, though, how much should Bremer be held responsible for the continuing mess of the Middle East? It’s been more than five years since US combat troops left Iraq. It took about that long after Vietnam for the nation to begin wrestling honestly with the forces that had led us into that mistaken war. It’s time we start doing the same with Iraq. And the case of L. Paul Bremer — at once well intentioned, infuriating, and tragic — is the ideal place to anchor this kind of reexamination. He and I both knew we would be getting to those tough questions soon enough. I decided to start with the lighter stuff. In recent years, Bremer, who is now 74, has turned his focus to painting, following in the steps of his former boss. “Bush is a better artist than I am,” he tells me. The working draft has been revised to reflect a number of Saudi and U.S. comments, and the final draft of this report is available athttp://csis.org/files/publication/160310_cordesman_saudi_arabia.pdf. Download PDF file of "Saudi Arabia and the United States: Common Interests and Continuing Sources of Tension"
The nation’s top generals and admirals will gather in the coming weeks to mull over ideas on what the Pentagon must do to close the gap as Russia and China continue to push the edge of their military capabilities. These talks are likely to shape decisions on what investments, policy and organizational changes the Defense Department would have to make to offset adversaries’ advances in high-tech weaponry such as precision weapons and air defense systems. The Pentagon fears China and Russia are gaining an “asymmetric” edge as they perfect their precision-guided weaponry and become poised to blunt the long-held dominance of U.S. warships and combat aircraft. “Our competitors are approaching us in that capability,” said Air Force Gen. Paul J. Selva, vice chairman of the Joint Chiefs of Staff. The precision munitions arms race is not lost yet, but adversaries are catching up, Selva said March 10 at the McAleese & Associates defense industry conference in Washington, D.C.
A number of war games and experiments have been launched to try to answer that question, he said. The overarching plan, known as the “third offset,” quickly entered the military and defense lexicon after it was introduced last year by Deputy Defense Secretary Robert Work. But much of the conversation has been about semantics, and whether the phrase “third offset” might be too esoteric for audiences who may not know the history of the Pentagon’s first and second offset efforts over the past five decades. There were times when interactions between the German chancellor and European Council President Donald Tusk were more congenial. When Angela Merkel entered the conference hall at the European Council building in Brussels, Tusk would bow deeply and clasp Merkel's hand. He would then kiss it so intimately that even Merkel, who is used to all manner of obsequiousness, would look in quizzical confusion at the former Polish prime minister's bowed head. On Wednesday, Merkel got to know a different Tusk. Once again, he sent Merkel a greeting, but this time he opted to use Twitter instead of his lips. He sent out a tweet thanking the countries of the Western Balkans for closing their borders to refugees and "implementing part of EU's comprehensive strategy to deal with migration crisis. "It was not exactly a gallant move from Tusk. For weeks, Merkel has been trying to prevent the closure of the Balkan Route, arguing that Europe cannot leave Greece alone to deal with tens of thousands of desperate Syrians trying to escape the civil war in their country. Three weeks ago, when Austrian Chancellor Werner Faymann announced his country would only accept a limited number of asylum-seekers each day -- an announcement that led to border closures up and down the Balkans -- Merkel shook her head with concern. The move, she said, was "not helpful." And now Tusk. The man who was only able to rise to the European Council presidency with Merkel's backing has now ambushed her. It is yet another incident that demonstrates Merkel's loss of power. The chancellor has played a variety of roles in Brussels throughout her career. She began as a clumsy novice, but as a result of the euro crisis she ultimately became the most powerful leader in Europe. Now, however, she has isolated Germany in the European Union to a greater degree than any chancellor before her. Germany has always had a special role in Europe. Helmut Kohl emphasized modesty in Brussels to reduce European fears of a newly dominant Germany in the wake of reunification. Merkel, by contrast, was not afraid of taking a leadership role and pushed through her strict austerity policies. In the end, though, she stopped short of throwing Greece out of the euro zone against the will of France and other southern European member states. Now, the fissure runs through the entire continent. Germany and France are estranged, Eastern European member states have joined Austria in an anti-Merkel alliance and European Council President Tusk has defected to the enemy camp. Merkel has remained true to her convictions -- one has to grant her that. She has withstood domestic pressure -- primarily exerted by the Christian Social Union (CSU), the Bavarian sister party to her Christian Democratic Union (CDU) -- and she has resisted the pressure of Faymann in Austria and Hungarian Prime Minister Viktor Orbán. With three important German state elections approaching this Sunday, she has also resisted pressure from CDU campaigners, who are not expecting a glorious showing. If one judges politicians by how well they stick to their principles, even when it gets uncomfortable, then Merkel has been impressive in recent weeks. But what Merkel's people describe as rectitude, the rest of Europe sees as an attempt to spread the costs of her noble-minded blunder across the entire European Union. The fences that have now been built do not just prevent refugees from moving through the Continent -- they're also symbolic of resistance to German presumption. SHCHASTYA, Ukraine—The late winter weather in Ukraine alternates among frigid, cool, snow, and rain—teasing the arrival of spring. The 2-year-old war, which has ravaged eastern Ukraine, killing more than 10,000 and displacing more than 1 million, is as fickle as the weather—teasing the possibility of peace without ever achieving it. Both sides of the conflict renewed their commitment to the cease-fire in September, reducing the scale and intensity of the Ukraine war to a shadow of what it was during the fall of 2014 and the first few months of 2015. During a six-day period from Feb. 27 to March 3, this correspondent visited Ukrainian troops deployed at both the front line and the rear echelon, stretching from the southernmost extension of the front lines outside the city of Mariupol to the war’s northern limit near the town of Shchastya, outside the separatist-controlled city of Luhansk. Along the front lines, Ukrainian troops are dug in and ready for combat. Combined Russian-separatist artillery, tank, mortar, and small arms attacks occur daily at hot spots near Donetsk, capital of the Donetsk People’s Republic, one of two breakaway territories. “It’s like this every day,” John Slobodyan, 23, a soldier in the Ukrainian army’s 93rd Brigade, said. He spoke as the bass notes of artillery cut through the air at a Ukrainian outpost near the town of Karlivka, about six miles from Donetsk. “There is no cease-fire,” Slobodyan said. Many soldiers wear colored tape on their uniforms to distinguish themselves from the enemy. The seaside town of Shyrokyne, just outside Mariupol on the Sea of Azov, marks the southern terminus of the front lines. After a trench and artillery battle that began in February 2015, Ukrainian forces seized control of the town last July. Shyrokyne now lies in ruins, and there are no civilians left living there. The town remains off limits as Ukrainian units demine the area and remove booby traps retreating combined Russian-separatist forces left behind. Two hundred miles from Shyrokyne at the northern limit of the front lines around Luhansk, capital of the Luhansk People’s Republic, the war has become a back-and-forth of sniper potshots. Ukrainian patrols also search for combined Russian-separatist units, which slip across the lines to set up ambushes and plant improvised explosive devices, in a daily cat-and-mouse game. “Is this a war or not? It is uncertain,” Andriy, 30, a soldier in the 92nd Brigade, said, on the front lines near Luhansk. The sounds of artillery, mortars, and small arms cut through the cool breeze on a sunny day at a Ukrainian army outpost near the town of Karlivka. A group of Ukrainian soldiers from the 93rd Brigade stood outside a wood cabin, talking, joking, and smoking cigarettes. The pace of the nearby artillery increased, catching the soldiers’ attention. One by one, they looked across a small lake toward rolling hills still brown from the winter, behind which emanated the sounds of war. But the soldiers remained relaxed. Some played with a litter of puppies the unit had adopted. One soldier chopped up a pig leg in preparation for a barbecue dinner (called shashlik in Ukraine). The soldiers’ laid-back demeanor highlighted the banality of the moment. Encryption is good for human rights. True only if you live in an imaginary police state. In a real police state, using encryption is a way for activists to self-identify to the security services. In these countries, the security services control the networks, and if they see traffic they can’t read, they will take action against the user. If you are lucky, they will only bug your house. They’re more likely to detain you for questioning and impound the device. Code is speech. And therefore efforts to control code violate our first amendment rights. When was the last time you saw someone give a speech in code, in a programming language? Does this apply to code for the development of chemical weapons or atomic bombs, so we should let people have free access to them (help yourself, ISIS). “Code is speech” is a tired retread from the 1990s. China and Russia are waiting to see what the U.S. does.Parochial nonsense. Large, politically fragile regimes do not wait for the United States in deciding on what they believe is needed to protect their regimes. Russian law gives the FSB complete control over all communications and requires that service providers give it plain text on request. This reference note provides more details on Russian surveillance. China’s monitoring, while not as all-embracing as Russia’s, also gives its security services untrammeled access to communications and China has a series of deals with Apple and other IT companies that make its products “State Security friendly”—an unavoidable condition of doing business in the world’s largest market. The encryption debate is about backdoors. Backdoor is the term for a program element that allows another person to read or more easily decrypt encrypted communications. The best backdoors are covert in that neither the producer nor the users know about them. Back doors are a bad idea, since there is a very good chance that someone else will find them. But if someone tells you that the current dispute over encryption is about backdoors it means they are either misinformed or trying to manipulate their audience. The issue is under what circumstances access to the plaintext of an encrypted message is possible—and access does not require a backdoor. Some privacy advocates believe that under no circumstances should access to a person’s communications be possible. This is not what the constitution said—it says no “unreasonable searches,” not “no searches.” End-to-end encryption, where only the sender and recipient can read the message, make even reasonable searches much harder to perform. WASHINGTON — While the Justice Department wages a public fight with Apple over access to a locked iPhone, government officials are privately debating how to resolve a prolonged standoff with another technology company, WhatsApp, over access to its popular instant messaging application, officials and others involved in the case said.No decision has been made, but a court fight with WhatsApp, the world’s largest mobile messaging service, would open a new front in the Obama administration’s dispute with Silicon Valley over encryption, security and privacy. WhatsApp, which is owned by Facebook, allows customers to send messages and make phone calls over the Internet. In the last year, the company has been adding encryption to those conversations, making it impossible for the Justice Department to read or eavesdrop, even with a judge’s wiretap order. As recently as this past week, officials said, the Justice Department was discussing how to proceed in a continuing criminal investigation in which a federal judge had approved a wiretap, but investigators were stymied by WhatsApp’s encryption. The Justice Department and WhatsApp declined to comment. The government officials and others who discussed the dispute did so on condition of anonymity because the wiretap order and all the information associated with it were under seal. The nature of the case was not clear, except that officials said it was not a terrorism investigation. The location of the investigation was also unclear. To understand the battle lines, consider this imperfect analogy from the predigital world: If the Apple dispute is akin to whether the F.B.I. can unlock your front door and search your house, the issue with WhatsApp is whether it can listen to your phone calls. In the era of encryption, neither question has a clear answer. Whether the WhatsApp dispute ends in a court fight that sets precedents, many law enforcement officials and security experts say that such a case may be inevitable because the nation’s wiretapping laws were last updated a generation ago, when people communicated by landline telephones that were easy to tap. On March 4, the United States used drones and other aircraft to drop precision bombs on Somalia, a country with which we are not at war, reportedly killing about 150 al-Shabab militants who were said to be preparing for an imminent attack on American and African Union forces. The US government asserted that no civilians were killed, although neither that claim nor the allegation of an imminent attack could be verified. What do we really know about how American officials decide to launch such strikes? In the last two weeks, the Obama administration has announced that it will for the first time make public a redacted version of the Presidential Policy Guidance outlining the standards for targeted killing and will also provide its own estimates of combatant and civilian deaths in drone attacks dating back to 2009. Yet much about these decisions remains opaque. 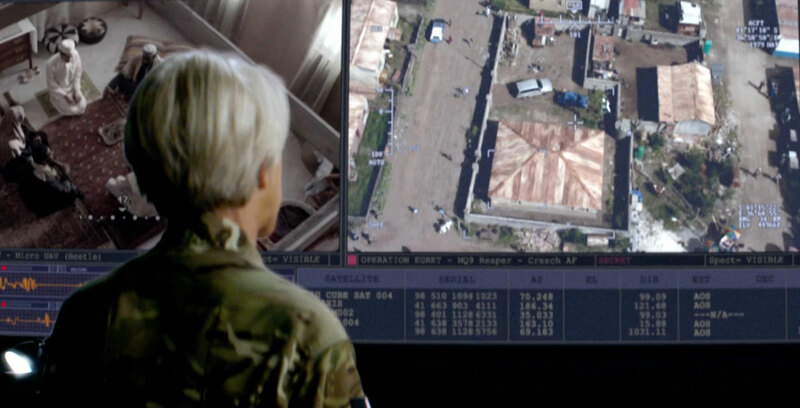 In Eye in the Sky, a remarkably timely and important new film about a fictional drone strike against al-Shabab, South African director Gavin Hood offers a hypothetical window into such decision-making. The picture it paints is deeply disturbing, and raises fundamental questions about when, if ever, such attacks are justified. It may be the closest those of us on the outside ever get to the internal process behind the drone war. In the film, Helen Mirren plays Katherine Powell, a steely British colonel charged with tracking terrorists in North Africa. The only travel Powell needs to do, however, is between her home in Surrey and her office in London, where she operates a top-secret drone program, in conjunction with American drone operators in Nevada and African agents in Kenya. As the film opens, Powell wakes to learn that a British woman, who has become a leader of al-Shabab, has been located in Nairobi along with her husband, an American citizen who is also an al-Shabab leader. What follows is a tense minute-by-minute depiction of one of the most daunting ethical and legal decisions a nation’s military and civilian leaders ever have to make—whether to kill a suspected enemy, even if innocent civilians may also die. Without taking sides, the film dramatically illustrates why technology, far from answering such questions, has only made them more difficult. As Eye in the Sky opens, real-time images from inside a house in Nairobi, provided by a surveillance drone the size and shape of a small beetle, reveal that the British and American suspects, along with other apparent al-Shabab members, are preparing a young man for a suicide mission by outfitting him with an explosive vest and recording his martyr’s video. Powell’s initial plan to use local forces to capture the suspects is foiled, and she quickly requests authority to kill with a drone strike, supported by the video footage suggesting that the targets are about to launch a suicide bombing. Powell doesn’t know where the attack is likely to take place, but experience with al-Shabab suggests that it will be designed to inflict substantial injury on civilians. After an assessment of the risk that civilians could be injured or killed in the requested drone strike, Powell gets the go-ahead. But as the American drone operator is about to pull the trigger, a young girl, about ten years old, shows up to sell bread at a makeshift stand in front of the terrorists’ compound. The drone operator, who has previously spied the young girl playing with a hula hoop in her neighboring yard, balks, and requests a new “collateral damage estimate,” and a new plan, in light of the altered circumstances. Lynn also observed that the government’s procedures for acquiring information technology mean deployment of systems that are four generations behind the state of the art. He advocated radical changes in procurement of IT, to take them closer to those in the private sector, namely, speed, incremental development and testing, and deferring of some customisation, and creating different levels of oversight for different items. Ash Carter, the Defense Secretary did precisely that when he announced the setting up of the Defense Innovation Advisory Board on March 2, 2016 in the Silicon Valley. The first Defense secretary to have visited the Silicon Valley in 20 years, he has already made three trips in a year. While the DoD is known to have taken several steps in line with Lynn’s vision of reducing cycle time in defense technology development through the private sector, and its procurement procedures, this is a step in tracking innovations taking place in the private sector. Where are the “generation of military reformers” that some despair will ever arise from the ashes of Iraq and Afghanistan? Coming into their own. Over the last month, I’ve observed an encouraging sign for our military profession. Several junior officers have used the power of the pen to reach outside of their foxholes, moving well beyond the typical sphere of influence of a newly commissioned lieutenant. Through their words, they have helped bring about the change of existing policies, shared lessons on leadership, and sparked multiple professional conversations. On March 28, Sage Santangelo, a Second Lieutenant in the United States Marine Corps, published an Op-Ed in the Washington Post about the struggles of females in the Marines’ Infantry Officer Course in Quantico, Virginia. Her post drew over 700 comments on the Washington Post’s website and even received the attention of the Marine Corps Commandant, General James F. Amos. Shortly after publication, the Commandant praised Santangelo’s article, and announced that he was going to change the policy regarding the number of times women could retake the course. On April 05, Army First Lieutenant Scott Ginther published a short essay titled “What I Wish I Knew: From Cadet to Lieutenant in Afghanistan” on the site WarCouncil.org. While he doesn’t tackle a hot-button issue like Santangelo, his post offers young leaders an easily digestible list of twenty lessons learned from his experience as a newly commissioned officer. His well-written advice quickly went viral on social media sites like Facebook and Twitter, even earning a “tweet” from the Army Chief of Staff, General Raymond Odierno a few days ago. In addition to Santangelo and Ginther, other young leaders have also begun “nailing their whispers to the wall,” by publishing their ideas on blogs and other professional outlets. An ROTC cadet recently wrote on this very forum about civil-military divide, and a few days later a young infantry officer wrote about improving reconnaissance organizations in the U.S. Army on a blog he shares with other junior officers. Future general and President, Dwight D. Eisenhower, posing with one of the Army’s newest capabilities after World War I. These young officers are in good company. As Admiral (ret) Jim Stavridis highlighted in “Read, Think, Write, and Publish”, Admirals William F. Halsey, Chester Nimitz, and Ernest J. King all published articles in ProceedingsMagazine as junior officers. Additionally, a young Dwight Eisenhower published a 1920Infantry Journal article, entitled “A Tank Discussion”, about using tanks to achieve rapid breakthroughs. While Eisenhower’s article was met with controversy, in the end it contributed to a larger professional discussion that eventually led to better doctrine for the inclusion of armor in the fight. Whether you agree with their views or not, these young officers are using the written word to have a voice in current discussions and a vote on the future of our profession. They are being heard not just by their peers, but by our senior leaders as well. Their courage and candor should serve as an example to all of us in the military, inspiring us to step onto the battlefield of ideas by writing for our profession. While many junior officers may not yet hold the positions of authority to institute the changes in organizational culture required to continue to drive our military forward into the future, they’re beginning the journey where they can — in the public forum. Our profession will be the better for it. Joe Byerly is an armor officer in the U.S. Army. He frequently writes about leadership and leader development on his blog, From the Green Notebook.